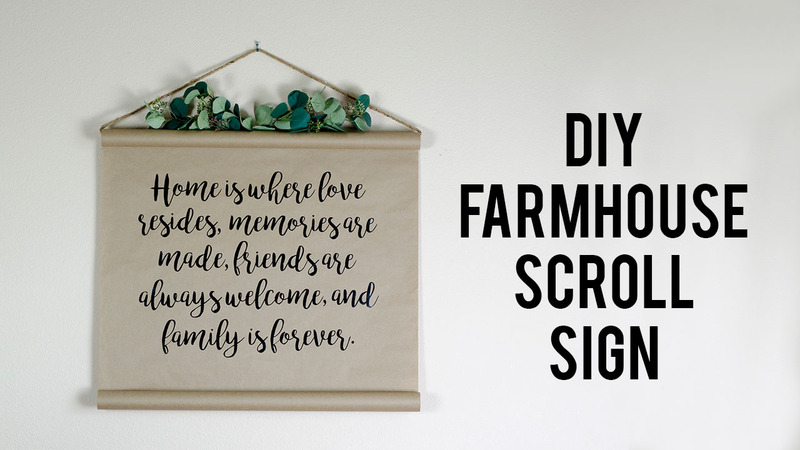 Yes, you read that right, DIY Farmhouse Scroll Sign! 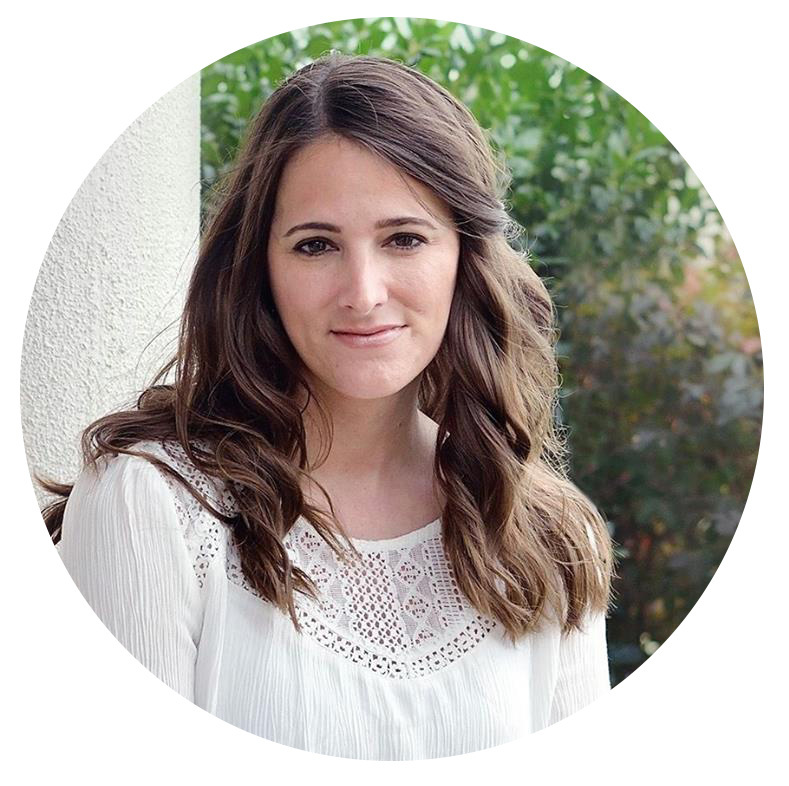 I love the farmhouse style and thanks to Joanna Grimes many of you do too. 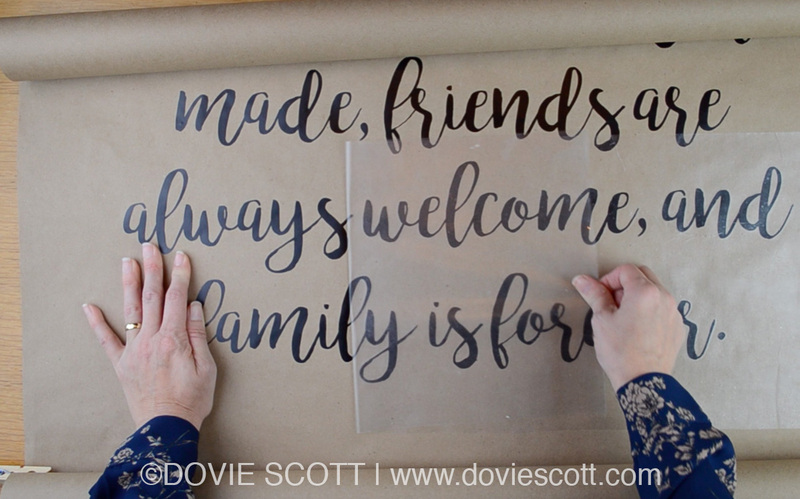 So, today’s video tutorial I am going to show you how to make a simple yet gorgeous farmhouse scroll sign. Look at how gorgeous it is. If you prefer video tutorials, then scroll to bottom of this post for the video tutorial. 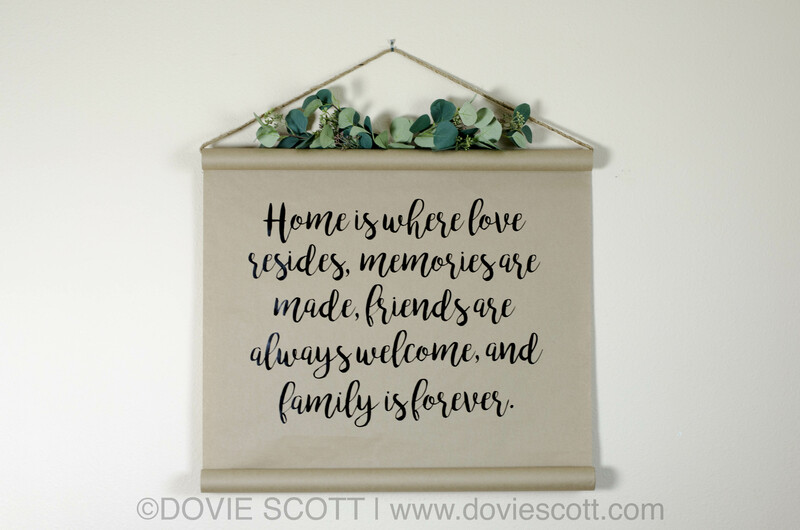 To make this farmhouse scroll sign you will only need a few supplies. 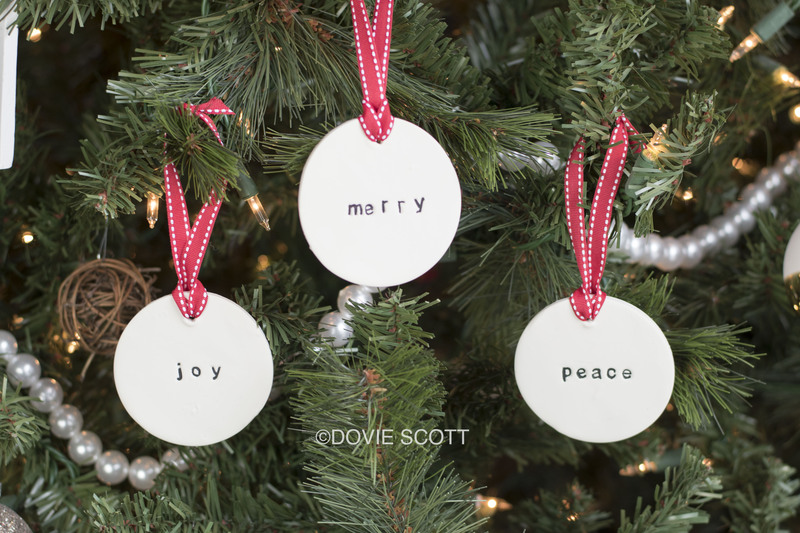 I used a roll of kraft paper from the Dollar Tree, twine/jute, vinyl letting and paper clips. I used my Silhouette Cameo to design and cut out my quote from black vinyl. I weeded the excess vinyl away from the lettering and placed transfer paper on top of it. 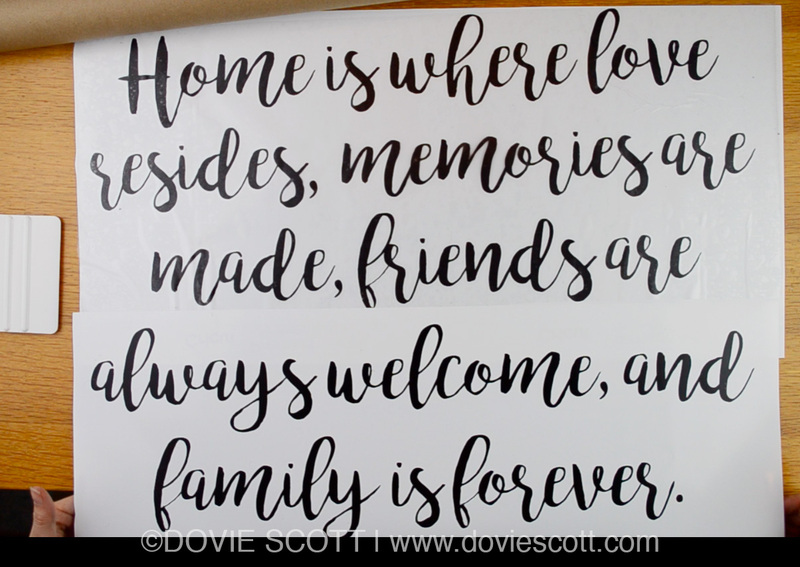 If you need your own vinyl quote, then you can find many farmhouse SVG files over at SoFontsy. I will warn you beforehand that you will love everything you see and want to buy it all. 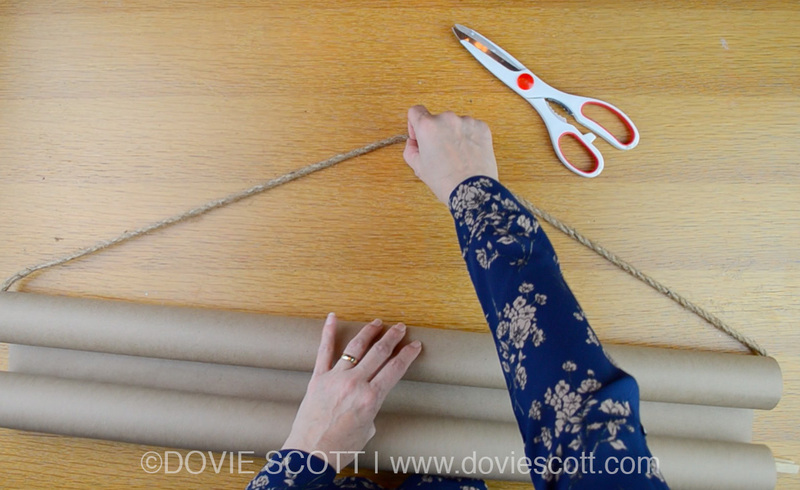 Next, I rolled up the bottom part of the kraft paper a few times and secured it with clothespins (optional). I used the clothespins to secure the roll in place so the bottom wouldn’t roll up when I applied the vinyl lettering. After securing the bottom roll I placed my vinyl lettering/transfer tape sticky side down onto the kraft paper. (I made sure to measure the top and sides of the kraft paper so the quote would be centered on the paper). 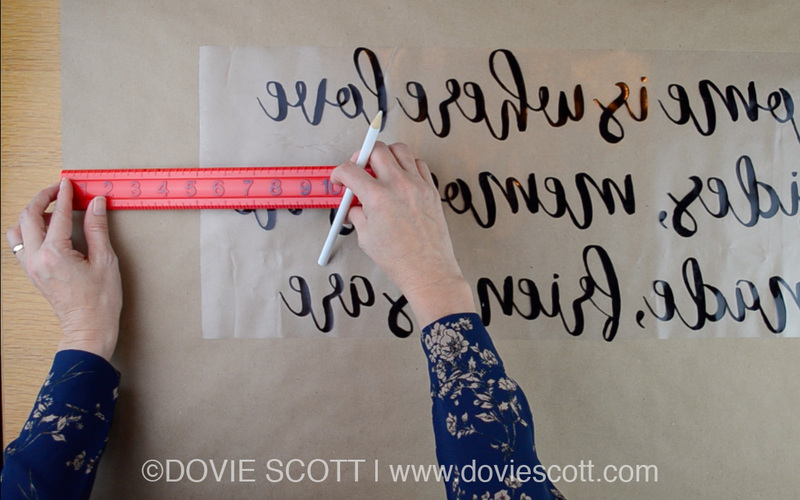 Once the vinyl lettering was adhered to the kraft paper I removed the transfer paper. 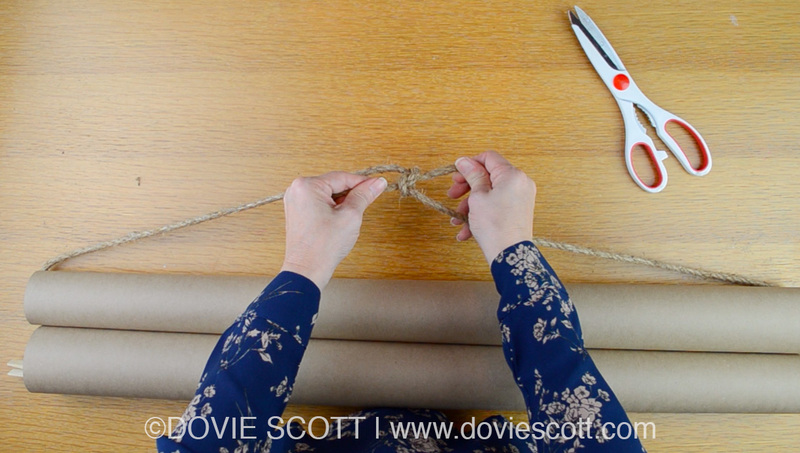 Next, I took the twine/jute and ran it down the center hole of the top roll and tied it in a knot. I hid the knot inside the center hole on the top roll. 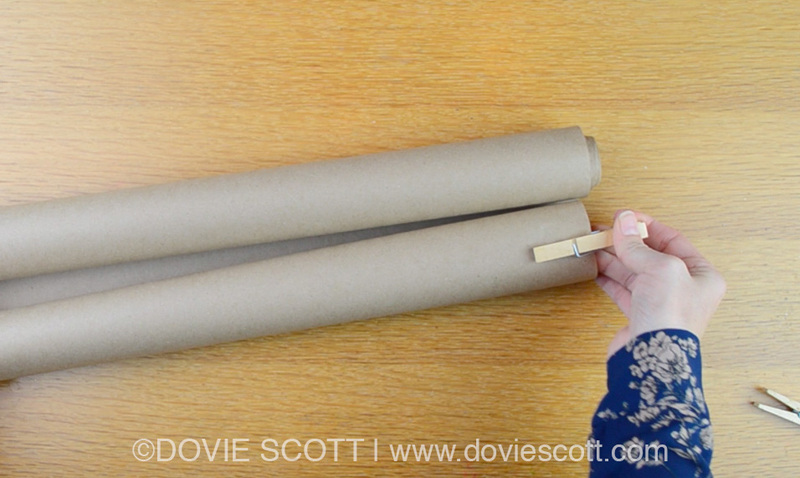 To finish the scroll sign off I removed the clothespins on the bottom roll and placed a paper clip on each side and moved them to the back of the roll so they would face the wall when the scroll sign is hung up. 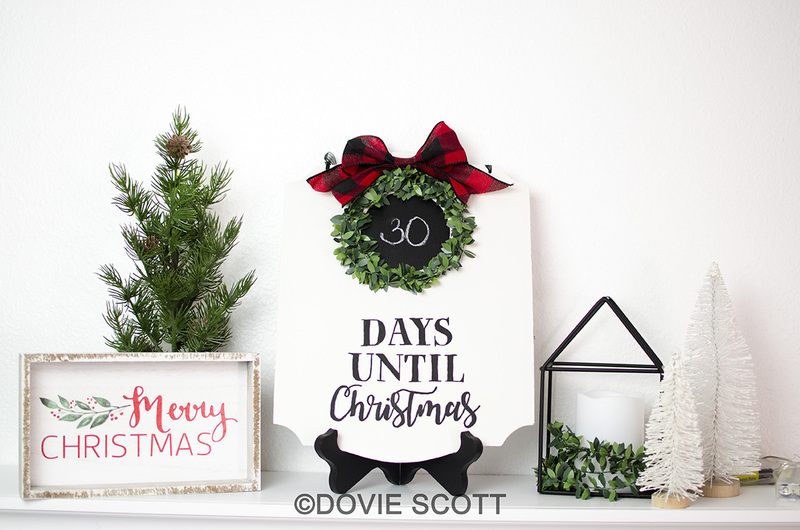 I love how this farmhouse scroll sign turned out! 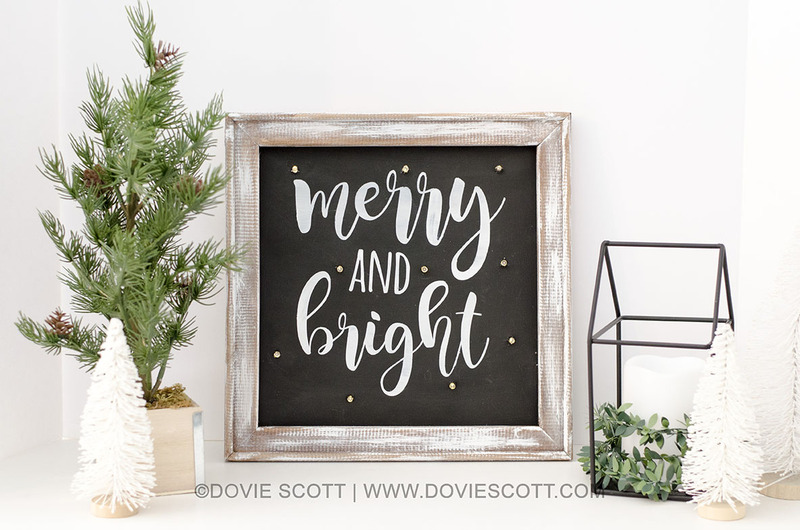 It’s one of my favorite projects and it’s easy enough to make different quotes and quotes for the holidays. I am definitely planning to make another one for Christmas. 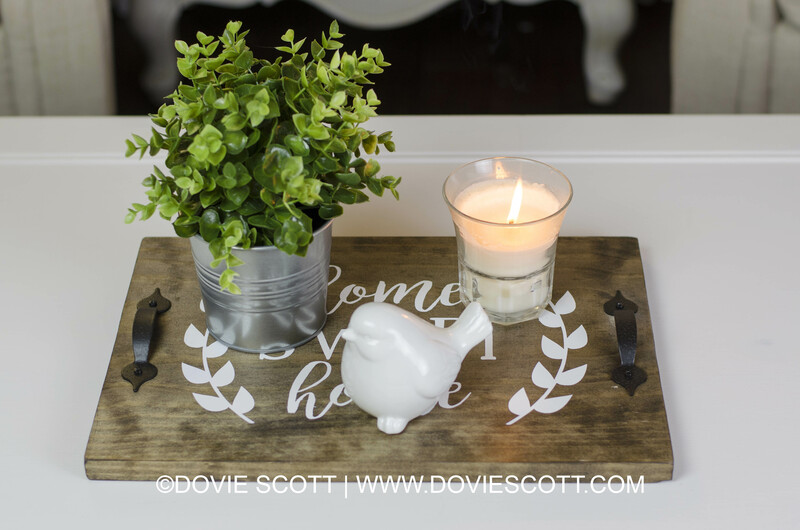 Good morning lovelies, in today’s video tutorial I am showing you how to make a farmhouse tray which can be used as a sign as well. I love the farmhouse look as I am sure so many of you do too. This tray can be used on your coffee table with some decorative items placed on top, or you can attach hangers and hang on the wall. 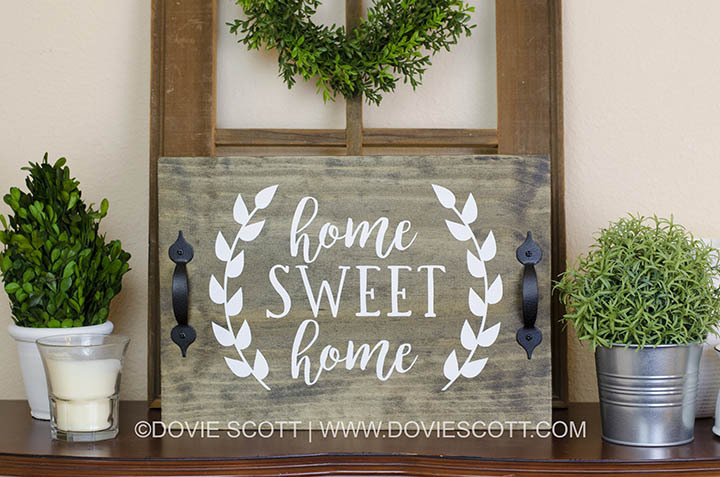 Either way this DIY project will add a nice touch to any home with that farmhouse touch. To learn how to make one too, then watch the video below.